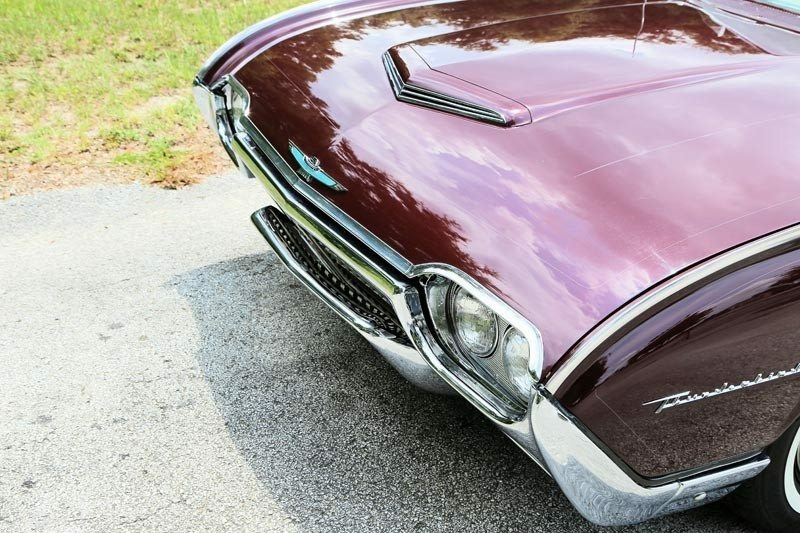 Ford introduced the third generation Thunderbird in 1961, and their aggressive styling soon became known as the Bullet Bird, and it’s easy to see why. The sharp nose, modern symmetrical shape, jet engine inspired tail lights, and sleek fins were all styling cues inspired by the early 60’s fascination with space and supersonic travel, and the new Thunderbird reflected the styling leader position it occupied in Ford’s lineup. The new Thunderbird was given the honor of serving as the Indianapolis 500 pace car in 1961, and 50 ‘Birds were used by President Kennedy during his inaugural. 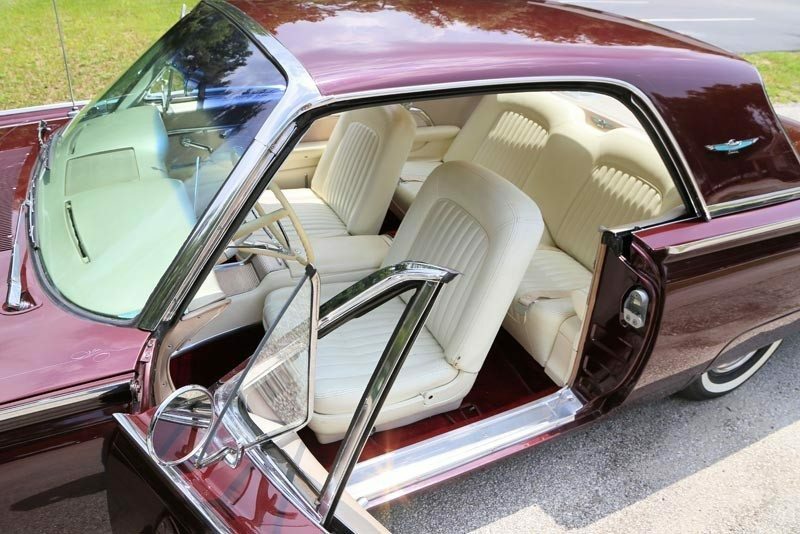 Sales were brisk, with over 73,000 1961 units sold, and that rose to over 78,000 for 1962. 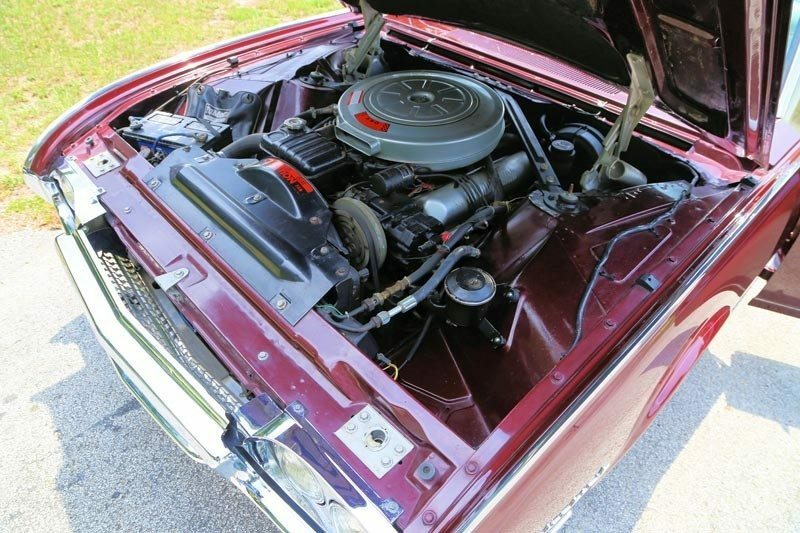 Part performance car and part luxury vehicle, the 1962 Thunderbirds featured about 45 pounds of sound-deadening materials for a quiet ride, zinc-coated steel to resist rust, and both 3 coats of primer and 2 coats of “never-wax” enamel paint, as well as significant improvements to the fuel and braking systems. All of this helped the Thunderbird ride like a luxury car, but it was the big 390 ci V-8 that gave the T-bird its performance reputation. It’s got a great sound, tons of torque, and the engine bay is just as clean and correct as the rest of this beautiful car. Finished in the factory Heritage Burgundy paint with a very nice Pearl Beige interior, the car has had but one repaint since new, and survives in outstanding condition with just 55,000 original miles. It’s a western car from new, with dealer installed air conditioning and a large stack of original sales and maintenance documents. It features power brakes, steering, locks and seats, and has obviously been meticulously cared for since new. The unique Swing-Away steering wheel allowed easy access to the driver’s power bucket seat, and the thoroughly modern interior features an AM radio, factory seat belts, and a unique center console in it’s contemporary wrap-around design. It’s a fine example with no excuses and a presence that few 60’s cars can match. If you have an early model Ford Thunderbird or another collectible you’d like to insure with us, let us show you how we are more than just another collector vehicle insurance company. We want to protect your passion! Click below for an online quote, or give us a call at 800.678.5173.